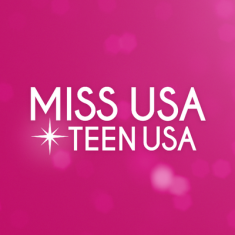 QUICK JUMP: Contestants Pageant Information How to compete in Miss USA & Teen USA 1995? The Miss Teen USA 1995 pageant ended with Keylee Sue Sanders winning the title of Miss Teen USA 1995! Miss Teen USA 1995 took place at Century II Convention Center in Wichita, Kansas on August 15, 1995. Shelly Forest won Miss Congeniality. Lynnette Cole won Miss Photogenic. Sarah McClary won Style Award. The Miss USA 1995 pageant ended with Chelsi Smith winning the title of Miss USA 1995 and getting the opportunity to advance to the Miss Universe 1995 pageant! Chelsi Smith who won Miss Congeniality. Nichole Holmes who won Miss Photogenic. Chelsi Smithwho won Best in Swimsuit.